BRING OUT THE COLOUR IN YOUR PLAYING. Handmade in U.S.A. using the finest materials. Specially coated to last much longer. Helping people with visual problems. Easy learning along with our teaching methods. 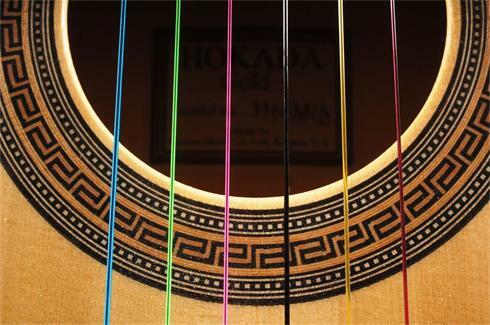 Nylon strings are kinder on your fingers.